May might be coming to an end, but that means that summer (aka concert season) is just beginning! 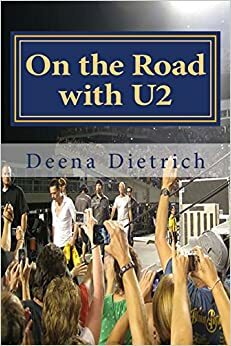 This Summer I am seeing NKOTB (5 times), Toad the Wet Sprocket, Ryan Bingham and Bob Dylan, Justin Timberlake and Jay Z, and Joan Jett and others at the Shindig Festival. It all starts Tuesday May 28th at Mohegan Sun Casino in Connecticut where I will be until Saturday June 1st attending the first three shows of The Package Tour featuring New Kids on the Block with Boyz to Men and 98 Degrees. 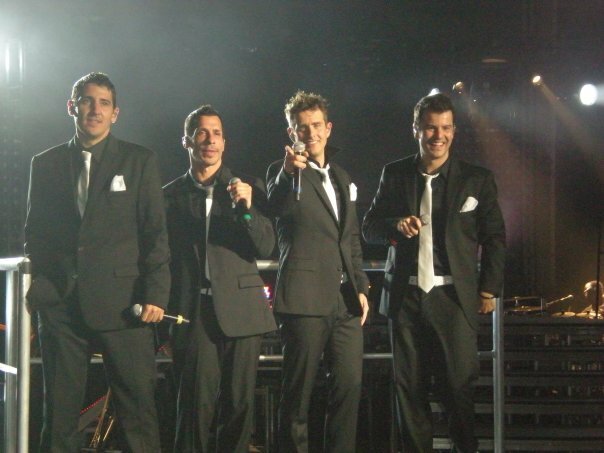 On Tuesday May 28th, Mom and I are driving six hours up 95 to Uncasville, CT. For two nights, we are staying at Mohegan Sun Casino where the NKOTB shows are. We should arrive on Tuesday just in time to check in and eat dinner before I go to the show. Mom will play the slots while I am screaming for Jordan. For this first show of the tour, I have seats in the stands (Section 15 Row J) but close to the stage. I will be live tweeting the set list during the first show on May 28th, as well as pics and videos. After a night of stalking the boys in the casino, or hopefully there will be an opening night after party like there was in Vegas on opening night of the casino tour, I will spend Wednesday restfully playing the slots with Mom. For the second show of the tour, I am in on the floor next to the stage in section Section 6 Row G. I won’t be live tweeting during this show, but I will post pics, vids and set list after it. I need pay attention since I will only be seven rows away from Jordan! The next morning Mom and I will check out of Mohegan Sun Casino, drive about 8 miles over to Foxwoods Casino to spend the next two nights. We want to get the whole Connecticut Casino experience, plus Friday night at Mohegan Sun would have cost $500! With no NKOTB show on Thursday, we will have the entire day and night to play the slots and relax. Friday May 31st I will drive back over to Mohegan Sun in the afternoon for my very first, and probably only, 5-Star VIP Package. (I still need to join a group of 10, so if you need a Jordan girl please let me know.) I had never planned on buying the expensive VIP ticket, but this was originally the first show of the tour (and then they added the two prior) and I couldn’t get a floor ticket. This 5-Star VIP package includes: One premium reserved floor ticket in first 7 rows in Sect. 1, 2, 3, 4, 5, 6 or 7, Meet & Greet photo op with NKOTB, Exclusive NKOTB gift bag, Pre-show refreshments, NKOTB VIP commemorative laminate, Early entrance into venue, Crowd-free merchandise shopping, and Onsite VIP hosts. Needless to say, this should be an amazing night! Hopefully I can get at least a few minutes of sleep after the Meet and Greet and concert because I have to drive six hours home the next day. Exactly two weeks later I will attend my fourth NKOTB Package Tour show at the Verizon Center in Washington, DC on June 14th. For this show I have a floor seat next to the stage in Section 8 Row F. This is my ‘hometown’ show, so just a short drive and metro ride away. Then just over a month later I am seeing my fifth and final NKOTB show of the summer at the MixTape Festival in Hershey, PA. I am only going to one day of this two-day festival. I bought VIP for this as well. It is not a ‘Meet and Greet’ opportunity, but I do get a Reserved Single Day Ticket to festival in section A, B, or C (rows 4-13), Access to Exclusive VIP-Only Mixtape Afterparty Saturday hosted by NKOTB with a DJ set by Benji Madden, Access to the Exclusive Backstage VIP-Only VH1 Performance Stage, Lower Level Ticket to Rock n Jock Mixtape Festival Dodgeball match at GIANT CENTER, Ticket to Hersheypark, One Parking Pass, One Mixtape Festival tote bag, One Mixtape Festival water bottle, One Mixtape Festival t-shirt, Access to shaded and air conditioned VIP Lounge with snacks and cash bar, VIP-Only flush toilets and air-conditioned restrooms, Private VIP festival entrance, and On Site Event Host. The price is totally worth it even without a Meet and Greet, considering just the ticket would cost half of what I paid for this VIP. I can’t imagine how this year’s MixTape Festival is going to top last year’s, but I am sure it will be a blast! 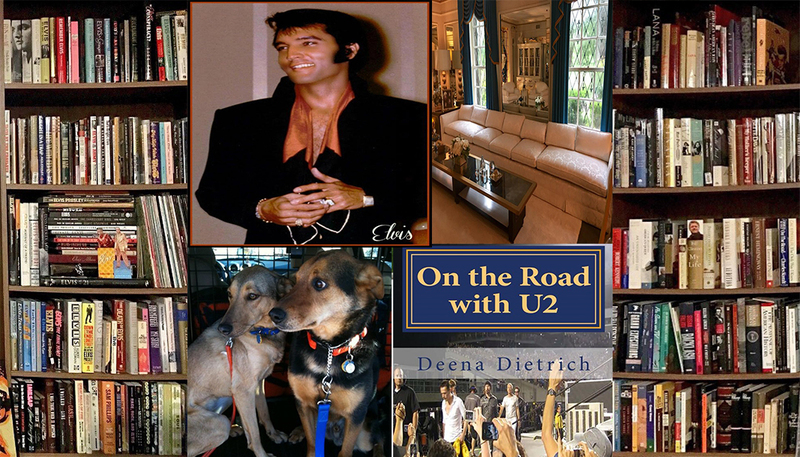 Please remember keep reading this blog and follow me on Twitter @DeenasDays and on Facebook as I live tweet throughout the NKOTB Package Tour – as well as the other concerts I am going to this summer.